Do you Have Customer Experience Stories to Share? 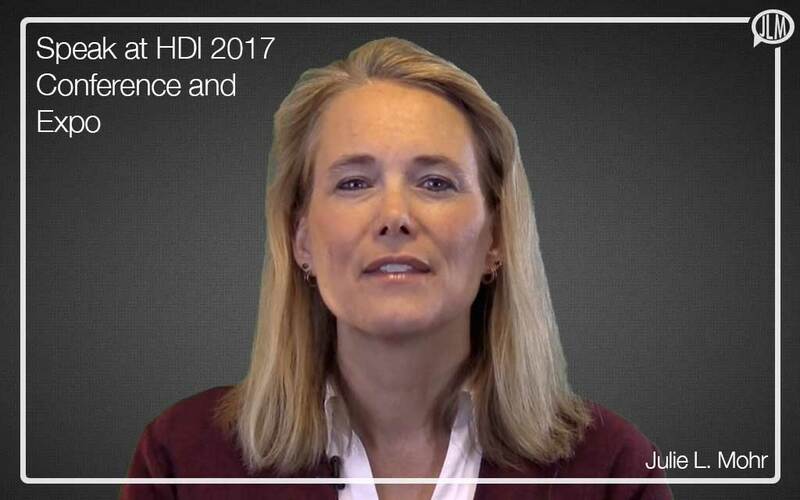 I would like to invite you to participate as a speaker at the HDI 2017 Conference and Expo in Washington, DC May 9-12th! Please share your customer experience stories on how you reinvented the customer experience in your organization. Hurry, the proposal submission deadline is September 16, 2016. That is just a few days away! Please note, we are also seeking submissions for the 2018 HDI Conference to be held in Las Vegas, NV. For the 2018 conference. Julie is a dynamic, engaging change agent who brings authenticity, integrity, and passion to practitioners worldwide. Through her books, articles, speaking, consulting, and teaching — her purpose is to spark change in the world with thought-provoking dialog and interaction. Julie has a B.S. degree in computer science from The Ohio State University, a MaED from the University of Phoenix, and is currently pursuing her Ph.D. in Management and Organizational Leadership in Information Systems & Technology from the University of Phoenix. She is an ITIL Expert, Certified Help Desk Director, and Certified Governance IT Professional. Julie captivates audiences at conferences worldwide on topics of authentic leadership, business strategy, knowledge management, organizational culture, and innovation. You can reach Julie at juls@julielmohr.com or http://www.julielmohr.com. ​Contact Julie today to see if she is available to speak at your event. We hate spam and we respect your privacy 100%. Your email will never be shared.